You’ve just moved in to a new home! Congratulations! Now it’s time to start paying for it...ouch! 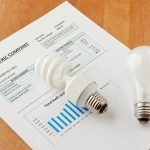 Fortunately, there a few simple and inexpensive things you can do to save money by making your home more energy efficient. Take a few minutes to walk around your new home and see if you can use any of these 10 simple ways to save money in your new home. Replacing the air filter for your HVAC unit(s) regularly allows your heating and air conditioning system to operate more efficiently without restricted airflow. Chances are high that the person who you bought your home from didn’t leave you a brand new filter. Changing it right away can save you money on that first energy bill. Save money in your new home in 10 about seconds. 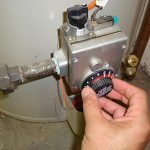 A max temperature of 120 degrees is recommended for your hot water heater. Keeping it any higher is unnecessary, and uses a lot more energy to maintain that setting. You most likely won’t notice the change in your water, but you will notice it on your energy bill. If you don’t already have them, adding ceiling fans to as many rooms as possible cuts down on your heating and cooling expense. Reverse them in the winter to pull air up. During the summer they should blow the air down. The air circulation will help you feel warmer or cooler, so you can adjust your thermostat down or up a few degrees to comfortably save money in your new home. Even a small obstruction in your HVAC ducts can cut down on efficiency. Keeping the ducts clear and the vents free from dust-bunnies means the air can flow faster to where you need it to be. Cleaning services often overlook vents, so don’t assume the previous homeowner took care of them. 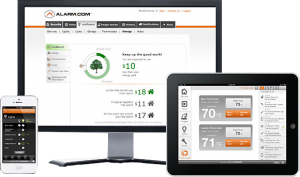 Smart thermostats are inexpensive and readily available, and can significantly reduce your energy bill. The best ones, like the Smart Thermostat from DFW Security, know when you are home or away, can be programmed and adjusted on your phone or computer, offer insights and recommendations based on your activity, shut off airflow in case of a fire, offer location-based adjustments, and offer text alerts and push notifications. Do a walk-through of your new home looking for places where unwanted air can come in or out. Common culprits are around doors and windows. Buy some inexpensive weather stripping or caulking and stop your money from blowing out the window. 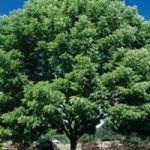 The right trees planted in the right place can make a big difference in the energy efficiency of your new home. Plant deciduous trees strategically to block direct sunlight from your windows when they have leaves in warm months. When they lose their leaves, the sun will be allowed through to warm your home in the cold months. Upgrading to energy-efficient LED light bulbs will save you money in your new home. 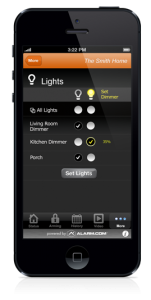 Adding smart lights or a smart light controller saves even more. With our app you can control lights from your phone, set up a schedule, or have lights be controlled by your location or event triggers. For example, when you set your alarm, all the lights in the house automatically turn off. Or the porch light can come on automatically at dark and shut off after Midnight. Wrapping hot water pipes can help them maintain heat and save on water heating costs. Wrap all the pipes under all your sinks for maximum impact. As part of the DFW Security app, you can set a GEO fence around your home that uses your phone’s GPS location to make your home more efficient. If you are more than 10 miles away, it can adjust your thermostat and make sure all your lights are turned off. Then when you get close to home, it will turn the temperature back and turn on any lights that you specify. 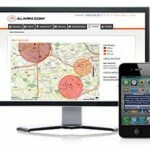 It can also remind you with a text message when you leave a door or window open, or forget to close your garage door. These 10 simple ways to save money in your new home and fast, inexpensive and easy, but they add up to big savings. If you have any questions about smart lights, smart thermostats or GEO services, call us!